Paula holds a B.F.A. from Texas Christian University and studied with Nathalia Krassovska, Victor Moreno, and Fernando Schaffenburg. She has received numerous awards for her choreography in the DFW metroplex and has completed two original works with Mr. Akin Babatunde, Reveal and Song Un-Told. Choreography credits include Kincaid Regional Theatre, Uptown Players, Flower Mound Performing Arts Theatre, Shakespeare Festival of Dallas, Theatre Three, Dallas Repertory Theatre, Lyric Stage, Dallas Children’s Theatre, and Plano Repertory Theatre. Ms. Morelan has received both Leon Rabin Award and The Column Award for Best Choreography. 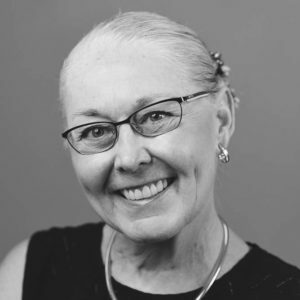 In the past Ms. Morelan managed Rosella School of Ballet and Ballet Arts Center form 1974 – 1976 and was Associate Artistic Director of Dance Repertory Theatre of Dallas. In 1976 she opened Ballet Classique and was Artistic Director of the Garland Ballet Association until 1987. She became the Director of the Ballet Division of the Performing Arts School in 1987 through 1990. Ms. Morelan has been with KD Conservatory College of Film and Dramatic Arts (Musical Theatre Dept.) since June 2005. This is her second year with Tuzer Dance School.